Musk says that Tesla is on track for completing a fully autonomous, cross-country LA to New York trip by the end of 2017. “November or December of this year, we should be able to go from a parking lot in California to a parking lot in New York, no controls touched at any point during the entire journey,” Musk says." IAM-Media: Ottawa, Canada-based Conversant NPE has acquired 29 image sensor patents from Dongbu HiTek, USPTO assignments records reveal. 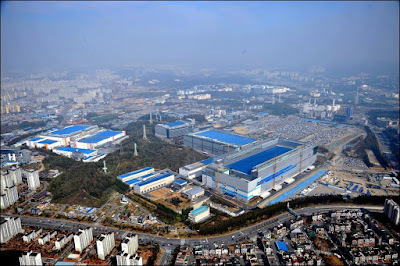 PulseNews: Samsung is to convert Line 11 in Hwaseong fab in Gyeonggi Province active since mid-2000s to CIS production starting the first half next year to meet growing demand for mobile imaging, high-end photography, and security and surveillance applications. Sony is said to have a solid lead on the CIS narket, controlling 44.5% of global supply including iPhones. 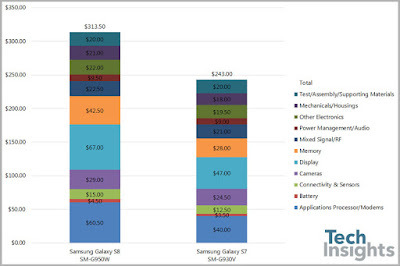 Samsung is at second place with a share of 15% as it supplies the imagers for Samsung premium phones. And to give thorough detail about the CMOS image sensor CIS that we’ll be using part of Line 11 to produce as you know with the increased adoption of dual camera, the application has itself been growing and also in addition to these mobile cameras we’re also trying to expand the applications to VR automotive as well as 360 degree cameras. So to respond to market demand as well as customer request, we will be converting part of Line 11 for our CIS production. Our target is to start mass production first half of 2018 but that is subject to market demand as well as customer request." "Sales increased 4.6% year-on-year (a 15% increase on a constant currency basis) to 773.1 billion yen (6,903 million U.S. dollars). This increase in sales was primarily due to a significant increase in unit sales of image sensors mainly for mobile products, partially offset by the impact of foreign exchange rates, a significant decrease in sales of camera modules, a business which was downsized, and the decrease in production due to the 2016 Kumamoto Earthquakes. Sales to external customers increased 10.1% year-on-year. Operating loss of 7.8 billion yen (70 million U.S. dollars) was recorded, compared to operating income of 14.5 billion yen in the previous fiscal year. This significant deterioration in operating results was primarily due to the negative impact of foreign exchange rates, the above-mentioned expenses resulting from the 2016 Kumamoto Earthquakes, and a 6.5 billion yen (58 million U.S. dollars) write-down of inventories of certain image sensors mainly for mobile products. 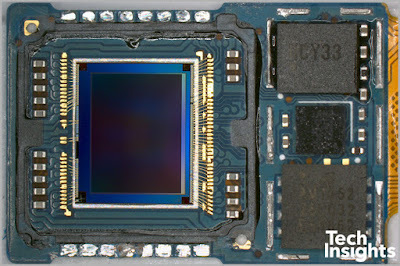 This deterioration was partially offset by the above-mentioned year-on-year increase in sales and the decrease in impairment charges against long-lived assets related to the camera module business. During the current fiscal year, there was a 43.7 billion yen negative impact from foreign exchange rate fluctuations." 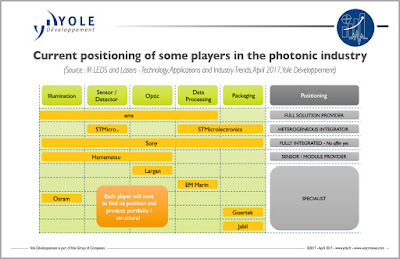 "In the Semiconductors segment, sales increased significantly due to an increase in unit sales of image sensors. Sales to external customers also increased significantly year-on-year." 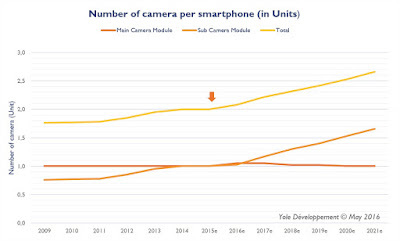 Reuters comments: "Image sensors have emerged as the biggest contributor to profit growth, as operations at a factory damaged by earthquakes a year ago return to normal just as smartphone makers are increasingly adopting dual-lens rear cameras in their handsets, requiring extra sensors. 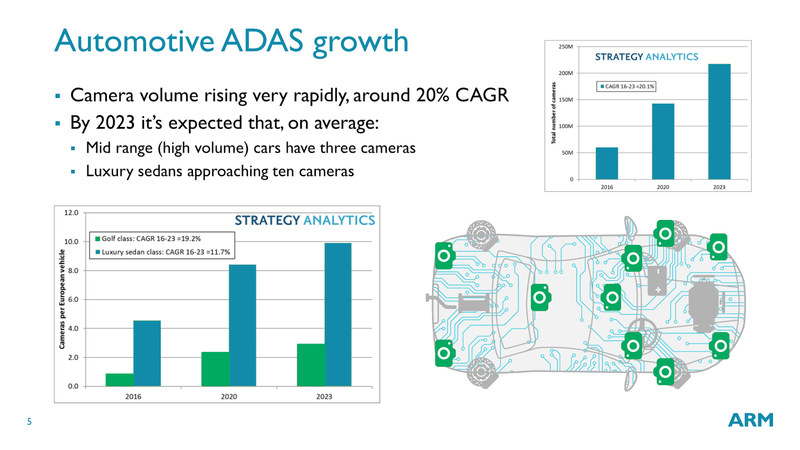 "The market is growing for higher-end models with dual-lens rear cameras or with high-performance front cameras designed for self-shooting," Chief Financial Officer Kenichiro Yoshida said at an earnings briefing. "That serves as a tailwind for us." 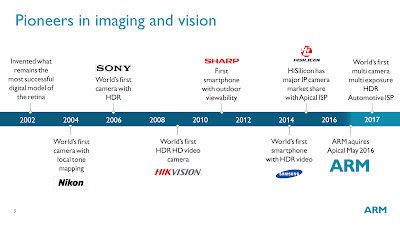 Sony forecast its chip division, which includes image sensors, to return to profit this year, at 120 billion yen. 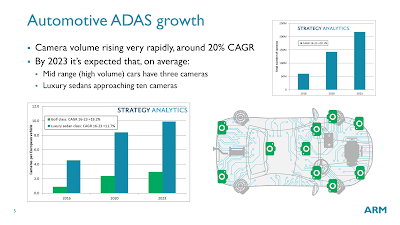 To meet increased demand, it will more than double capital expenditure on image sensors to 110 billion yen, raising production capacity by 13.6 percent by the end of March." ETNews: SK Hynix is separating its 8-inch Foundry Business Department as an independent subsidiary tentatively named "SK Hynix System IC". 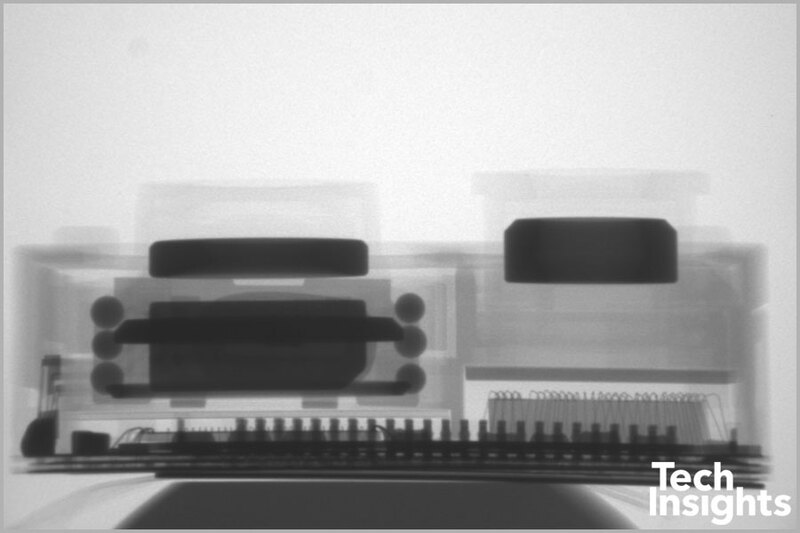 The 8-inch M8 fab has a capacity of 100K wafers per year and image sensors is one of its main specialties. According to IHS, SK Hynix’s Foundry Business made about $140M in sales last year, less that 1% of the whole company sales of $15.2b. The foundry business registered a loss last year. 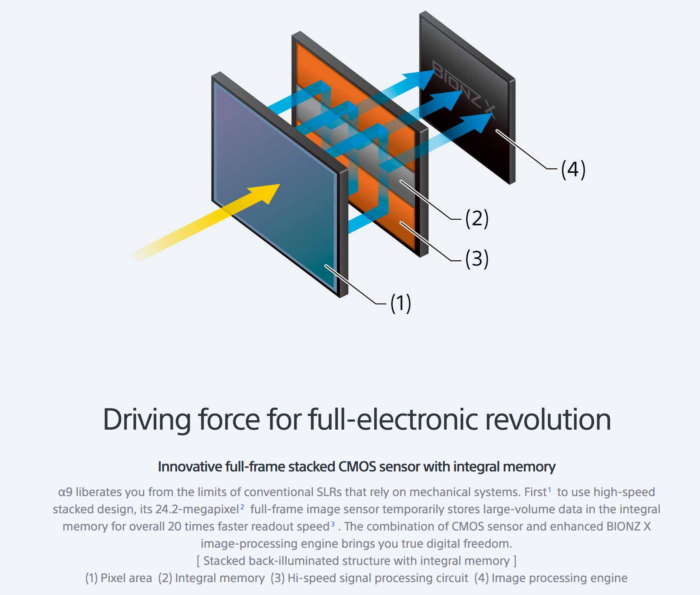 SK Hynix will continue production of high-megapixel image sensor products of over 13MP at its 12-inch M10 fab. PRNewswire: Switzerland-based ActLight presents its Heartrate Sensor for wearables, said to reduce power consumption by 80% compared to what is currently available on the market, while delivering the same performance. The Heartrate sensor is based on ActLight's proprietary Dynamic Photo Diode (DPD) technology and has been developed in co-operation with a global MedTech semiconductor vendor and EPFL. In smartwatches and wearables, up to 80% of the power consumption is said to be related to heartrate monitoring when it is activated. Already tested and calibrated, ActLight's heartrate sensor is ready to be produced in large series to equip next generation wearables with reduced power consumption. "Increased interest in fitness and wellness - has necessitated more affordable, precise, wearable sensing options. 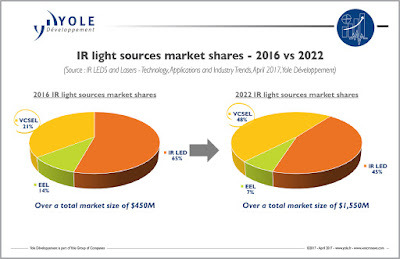 Our technology offers unique competitive advantages to our partners when compared to existing Photo Diodes used in wearable heartrate solutions," stated Serguei Okhonin, CEO of ActLight. "ActLight is now working with a number of partners to bring this technology into consumer electronics and MedTech grade solutions. We are open for IP licensing of our patented DPD technology that we own 100%," Okhonin continued. 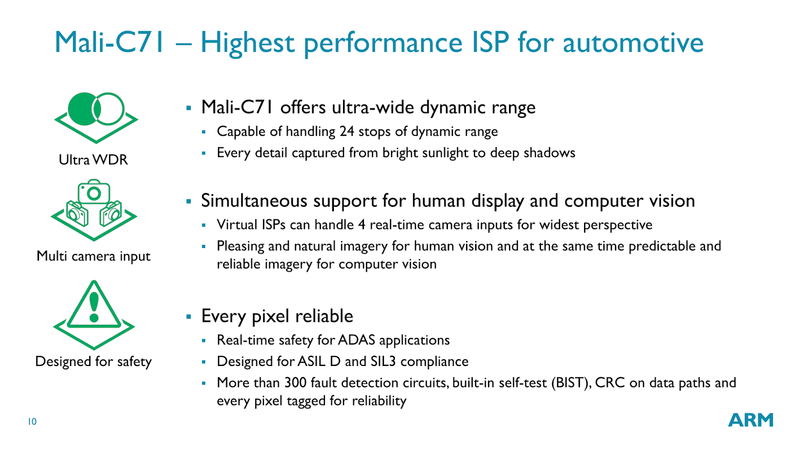 “OmniVision has been closely collaborating with the ARM ISP team (formerly Apical) for several years now, and see the Mali-C71 as an important advancement in image signal processing for emerging automotive applications. 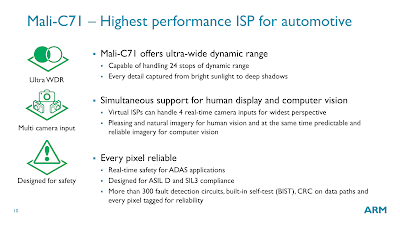 ARM’s expertise in ISP technology together with OmniVision’s best-in-class HDR image sensor technologies offers an industry leading solution for our automotive customers,” said Will Foote, senior partnership manager, OmniVision. Prof. Shen Guozhen’s Group in Institute of Semiconductors, Chinese Academy of Sciences, with their collaborators in Hong Kong University of Science and Technology developed a flexible UV image sensor based on ZnO quantum dots (QDs) decorated ZTO nanowires (NWs). The device was fabricated on the flexible polyethylene terephthalate (PET) substrate, which displayed outstanding flexibility, electrical stability and folding endurance. Duo to the rational band engineering at the QD/NW interface which results in effective separation of electron-hole pairs, the device showed ultrahigh specific detectivity (up to 9.0 × 1017 Jones), photoconductive gain (up to 1.1 × 107) and high response speed (47 ms). EETimes: Non-uniform spatial image sampling has been a popular idea over many decades. University of Glasgow, Scotland, UK, gives it another try in arxiv.org open-acess paper "Adaptive foveated single-pixel imaging with dynamic super-sampling" by David B. Phillips, Ming-Jie Sun, Jonathan M. Taylor, Matthew P. Edgar, Stephen M. Barnett, Graham G. Gibson, and Miles J. Padgett. "In this work we take a different approach and adopt a strategy inspired by the foveated vision systems found in the animal kingdom - a framework that exploits the spatio-temporal redundancy present in many dynamic scenes. In our single-pixel imaging system a high-resolution foveal region follows motion within the scene, but unlike a simple zoom, every frame delivers new spatial information from across the entire field-of-view. Using this approach we demonstrate a four-fold reduction in the time taken to record the detail of rapidly evolving features, whilst simultaneously accumulating detail of more slowly evolving regions over several consecutive frames." 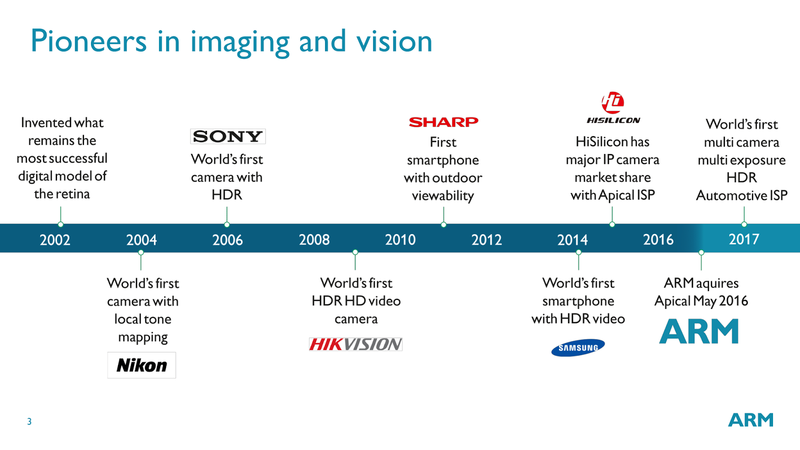 Reuters: Sony revises upward its annual profit estimation, in part due to the lower costs in its image sensor business. The official annual results for the company's fiscal year ended on March 31, 2017 are to be announced on April 28. TechInsights posted a teardown info on Galaxy S8 rear camera. 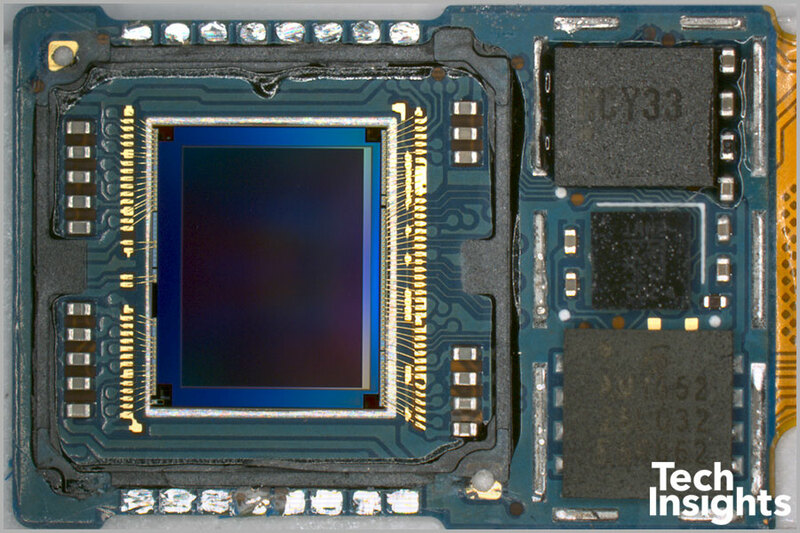 The 12MP stacked dual pixel image sensor has been identified as one made by Sony, probably IMX333. Other Galaxy S8 phones might contain Samsung-made sensors. The absence of dual camera in a flagship phone is said to save about $12.50 from the final BOM costs for Samsung. 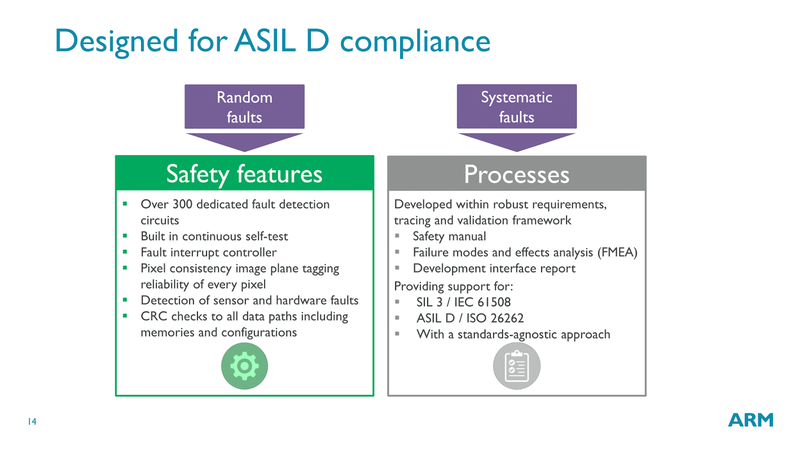 Analog Devices one more time demos its IR spectrometer-based Material Sensing Platform for smartphones, developed together with Consumer Physics. The previous demo is here. 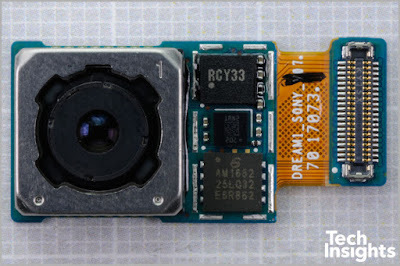 The front camera is based on Sony stacked IMX320, while the iris scanner BSI sensor is marked as S5K5E6YV (or S5K5E6YV). Both sensors have pixel pitch of 1.12um. The full presentation at YPO Edge 2017 held in Vancouver, Canada can be seen here. 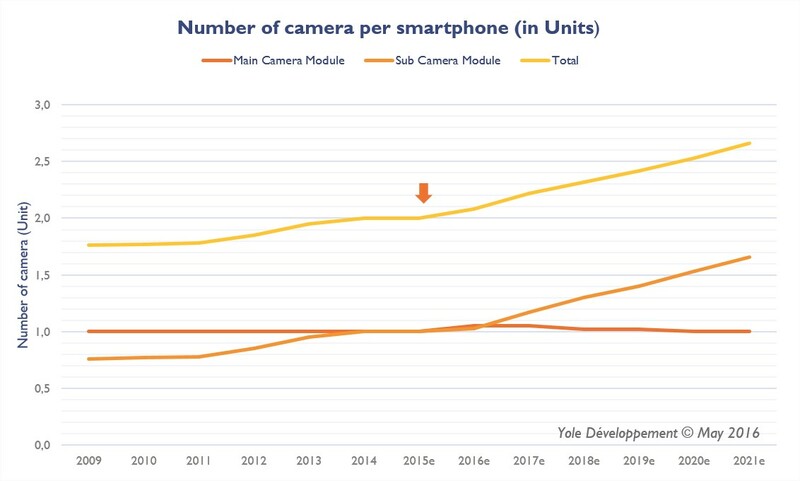 "First, it seems that in the recent years Apple has slowed down its innovation drive on the camera side, so competitors have been able to move ahead. This is the case for the dual camera setup on the rear side of the phones. Second, the importance of biometry has had a direct impact on cameras, which are now potential biometric devices. Samsung has implemented a second front-side camera, in the same way Fujitsu had experimented with less than a year ago, in order to provide state of the art iris-recognition technology. Third, the usage of the front camera is evolving quickly. We had mentioned in our CMOS Image Sensor report the selfie trend’s impact on front facing camera resolution. Companies like Oppo are surfing this wave by improving the performance of the front camera, and recently providing a dual front setup for the F3." "In 2016 3D imaging & sensing devices became quite significant business wise, generating more than $1.3B in revenue. While Yole anticipated the advent of 3D imaging & sensing in consumer products by 2020, it seems the schedule has accelerated in recent months. 2018 will likely see a massive influx of products, with the first applications in mobile and computing. And with the iPhone8 expected to incorporate a front-facing 3D camera, 3D’s application as a user interface will finally be better understood. 3D imaging & sensing has made several consumer attempts in the past, i.e. the Kinect game accessory and the Leap motion gesture controller. This time around, we expect Apple to make it right and definitive. Augmented reality is an application, not hardware, and mobile will be the main benefactor of this innovation. Drones & Robots will also benefit from the situation. 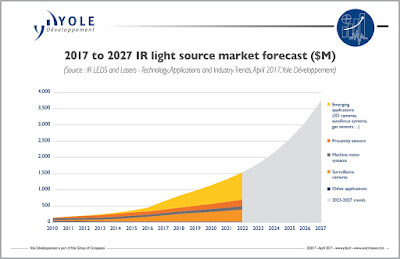 With a CAGR of 37.7% over the next five years, Yole Développement forecasts 3D imaging & sensing devices to reach $9B by 2022." US20170092668 "Optical apparatus including optical functional layer having high refractive index and method of manufacturing the optical apparatus" by Doyoon Kim, Ilhwan Kim. "The refractive index of the color splitter may be about 1.4 to about 2.4. The color splitter may include one of high refraction index materials from the group consisting of SiNx, TiO2, ZnS, and ZnSe, or an optical polymer including nanoparticles of the high refraction index materials dispersed in the optical polymer." "To see color, the human visual system combines the responses of three types of cone cells in the retina - a process that discards a significant amount of spectral information. We present an approach that can enhance human color vision by breaking the inherent redundancy in binocular vision, providing different spectral content to each eye. Using a psychophysical color model and thin-film optimization, we designed a wearable passive multispectral device that uses two distinct transmission filters, one for each eye, to enhance the user's ability to perceive spectral information. We fabricated and tested a design that "splits" the response of the short-wavelength cone of individuals with typical trichromatic vision, effectively simulating the presence of four distinct cone types between the two eyes ("tetrachromacy"). Users of this device were able to differentiate metamers (distinct spectra that resolve to the same perceived color in typical observers) without apparent adverse effects to vision. The increase in the number of effective cones from the typical three reduces the number of possible metamers that can be encountered, enhancing the ability to discriminate objects based on their emission, reflection, or transmission spectra. This technique represents a significant enhancement of the spectral perception of typical humans, and may have applications ranging from camouflage detection and anti-counterfeiting to art and data visualization." GlobeNewsWire: Himax makes a strategic investment in cash in exchange for a 45.1% equity ownership of Emza Visual Sense Ltd. (“Emza”), with a one-year option to acquire the remaining 54.9% of Emza’s equity and all outstanding stock options. Purchase price to acquire the remaining equity and all outstanding stock options of Emza if Himax elects to exercise the one-year option includes an all-cash initial purchase amount, along with earnout payments contingent on the performance of Emza. Terms of the investment were not disclosed. Emza is an Israeli company developing a power-efficient visual sensors that include proprietary machine-vision algorithms and specific architectures that deliver always-on visual sensing capabilities, achieving orders of magnitude improvement in power consumption. GlobeNewsWire: A week ago, Emza announced a partnership with DSP Group on low power vision processing. DSP Group is known by its low power always-on voice processors for smartphones ("OK Google"-type). ISAE, CEA and Toulouse University publish a paper on an well known but rarely discussed effect of "Dark Current Blooming in Pinned Photodiode CMOS Image Sensors" by Jean-Marc Belloir, Jean-Baptiste Lincelles, Alice Pelamatti, Clémentine Durnez, Vincent Goiffon, Cédric Virmontois, Philippe Paillet, Pierre Magnan, Member, and Olivier Gilard, also available at IEEE TED. "This paper demonstrates the existence of dark current blooming in pinned photodiode (PPD) CMOS image sensors (CISs) with the support of both experimental measurements and TCAD simulations. It is usually assumed that blooming can appear only under illumination, when the charge collected by a pixel exceeds the full well capacity (FWC) (i.e., when the photodiode becomes forward biased). In this paper, it is shown that blooming can also appear in the dark by dark current leakage from hot pixels in reverse bias (i.e., below the FWC). The dark current blooming is observed to propagate up to nine pixels away in the experimental images and can impact hundreds of pixels around each hot pixel. 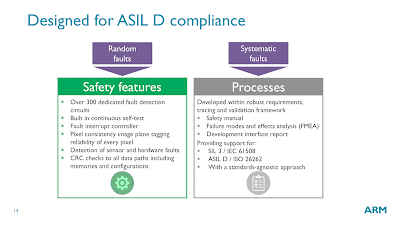 Hence, it can be a major image quality issue for the state-of-the-art PPD CISs used in dark current limited applications, such as low-light optical imaging and should be considered in the dark current subtraction process. This paper also demonstrates that one of the key parameter for dark current optimization, the transfer gate bias during integration, has to be carefully chosen depending on the application because the optimum bias for dark current reduction leads to the largest dark current blooming effects." "The effect of the TG bias (VTG) during integration on the dark current blooming has been investigated (Fig. 9). A slight negative bias (−0.2 V in this paper) is usually chosen for low-light imaging because it ensures a very low mean dark current of the CIS. Indeed, the oxide interface under the TG is mainly accumulated with holes in that case, which neutralize the interface generation centers . However, the potential barrier under the TG is higher than the potential barrier between the PPD and the epitaxy, because the substrate is grounded (0 V). Therefore, the dark current of the PPD is rather emitted toward the epitaxy than under the TG by thermionic emission, which leads to the dark current blooming (Fig. 9). If the TG is biased positively (+0.2 V in Fig. 9), which is a common light induced blooming countermeasure, the potential barrier under the TG becomes lower than toward the epitaxy and the dark current will rather diffuse under the TG (and will be collected by the floating diffusion) than toward the epitaxy. In that case, it can be seen in Fig. 9 that the dark current blooming is supressed. However, the mean dark current of the CIS is higher due to the depleted oxide interface under the TG." 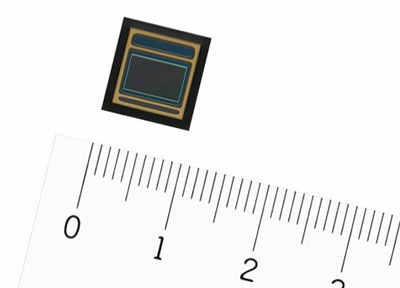 PRNewswire: Sony announces a 2.45MP 1/2.7-inch CMOS sensor for automotive cameras, the IMX390CQV. Sony will begin shipping samples in May 2017. 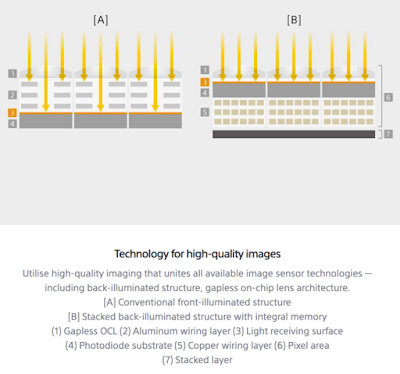 The new image sensor features an LED flicker mitigation function that reduces flickering when shooting LED signs and traffic signals, as well as an HDR of 120dB (measured according to EMVA1288). 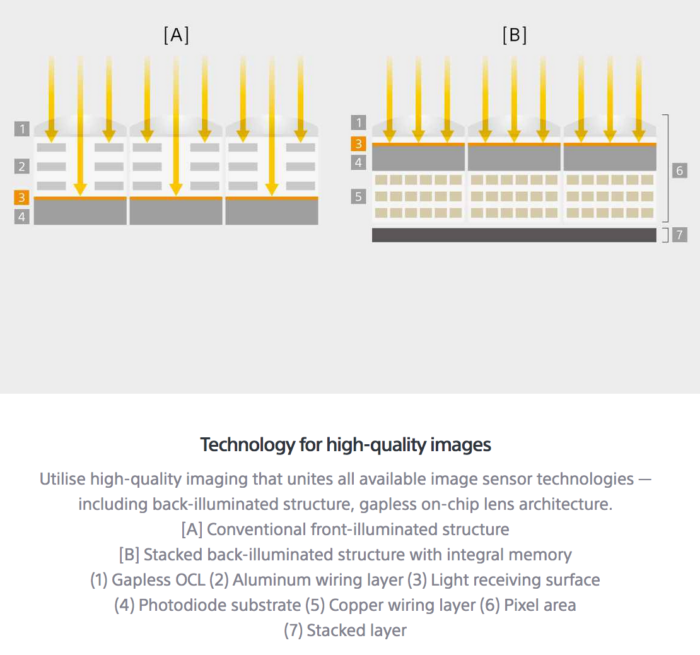 The IMX390CQV is said to be the first in the industry that can simultaneously mitigate LED flicker and shoot in HDR, made possible by Sony's new pixel structure and exposure method. It also offers high-sensitivity down to 0.1 lux. Mediatek publishes a X30 processor presentation video claiming it's able to achieve PDaf, AE and WB in just 10 frames. The only unknown here is the frame rate during the the PDAF, AE and WB stage. Two 14-bit ISPs supporting 16+16MP dual camera functionality allows such as wide+zoom combination lenses allow real-time depth of field effects, fastest auto exposure, improved real-time denoise in low-light conditions. Huge Power Reduction: The VPU is a dedicated camera-assisting hardware unit it has the ability to perform real-time processing functions, that were typically assigned to CPU or GPU, with only 1/10th power usage. Performance Boost: The VPU can still be used in isolation or as part of a team with the CPU/GPU, employing heterogeneous computing on same memory subsystem for advanced system or multi-application/function tasks. Imagiq’s Dual Camera Zoom offers 2x optical zoom in a super slim form factor. ClearZoom and Temporal Noise Reduction (TNR) technologies enable a sharp, crisp digital zoom up to 10x magnification. Works for both video and photography. The dedicated Camera Control Unit (CCU) hardware delivers considerably faster, automatic exposure adjustment when environmental lighting conditions change suddenly. AE convergence speed is up to twice as fast as competitive auto exposure performance. Access to MediaTek’s deep learning SDK featuring support for Caffe and Google’s TensorFlow frameworks, opening up the latest in machine intelligence to developers. BusinessWire: ON Semi is expanding its portfolio of IT-EMCCDs to target not only low-light industrial applications such as medical and scientific imaging, but also commercial and military applications for high-end surveillance. 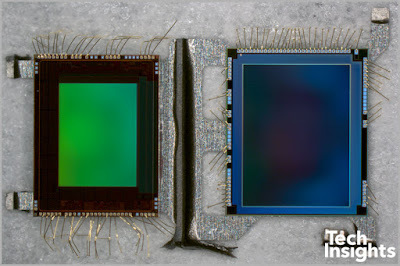 The new 4MP KAE-04471 uses larger 7.4um pixels than those found in existing IT-EMCCD devices, doubling the light gathering capability of the new device and improving image quality under light starved conditions. The KAE-04471 is pin and package compatible with the existing 8MP KAE-08151. The new KAE-02152 shares the same 1080p resolution and 2/3” optical format as the existing KAE-02150, but incorporates an enhanced pixel design that increases sensitivity in NIR band – an improvement that can be critical in applications such as surveillance, microscopy and ophthalmology. The KAE-02152 is fully drop-in compatible with the existing KAE-02150, and both devices are available in packages that incorporate an integrated thermoelectric cooler, simplifying the work required by camera manufacturers to develop a cooled camera design. 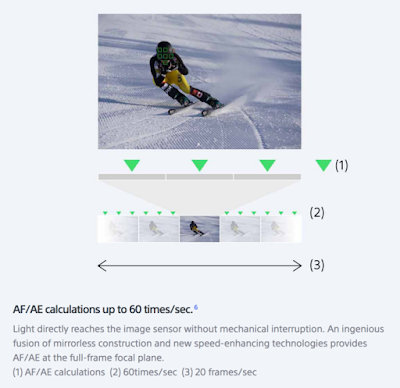 An intra−scene switchable gain feature samples each charge packet on a pixel−by−pixel basis, enabling the camera system to determine whether the charge will be routed through the normal gain output or the EMCCD output based on a user selectable threshold. This feature is said to enable imaging in extreme low light even when bright objects are within a dark scene, allowing a single camera to capture quality images from sunlight to starlight. Engineering grade versions of the KAE-04471 are now available, with production versions available in 2Q17. Engineering grade versions of the KAE-02152 in both a standard package as well as a package incorporating an integrated thermoelectric cooler are also available, with production versions of both configurations available in 3Q17. All IT-EMCCD devices ship in ceramic micro-PGA packages, and are available in both Monochrome and Bayer Color configurations.